Volunteers enjoy the dynamic environment at Hidden Pond Nature Center. New Year’s resolutions are usually intended to help us be “better” people in the New Year. But often they are punishing in some way, and so are abandoned before winter is over. However, you can make a painless resolution that doesn’t involve restricting calories or creating sweat. And you can make it now, just as others are breaking their promises. Give a little of your time to make a difference in your community and the environment. If you resolve to volunteer, we’ll arrange a schedule to fit your schedule, teach you new, fun things about nature (or maybe you’ll teach us) and help you connect with other volunteers. 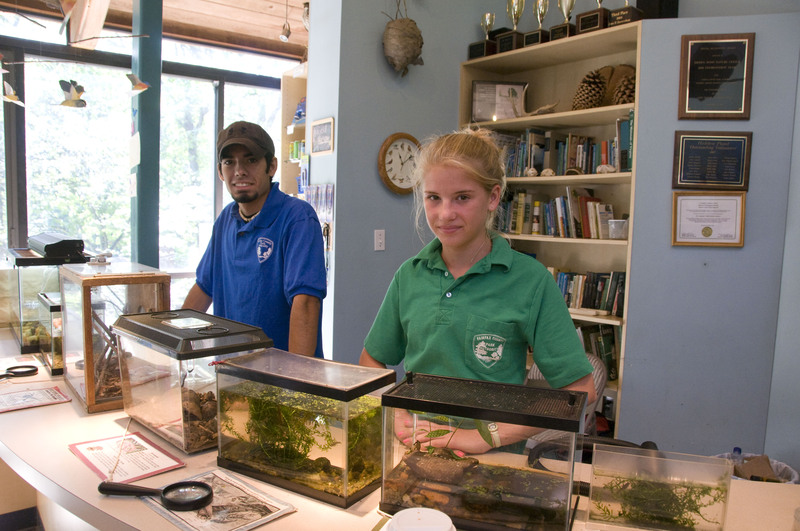 Hidden Pond Nature Center has hosted a vibrant and vital volunteer program for youth for years. A few wonderful adult volunteers have helped along the way with administrative tasks, nature programs and other special projects. We would like to spread the joy in 2013 to include more adults. There are opportunities to fit every personality, and training will be provided. Are you a people person? Maybe you would like to volunteer at the front desk of the nature center. You could expand your knowledge of nature without getting dirty or facing the weather. Handling animals is optional in this position. You would greet visitors and answer questions about the animals and park programs. Another great position for a people and nature lover would be as a nature program assistant, helping staff with programs. Many of these programs are for children and would involve learning to handle the animals. Have you dreamed of holding an exquisite Green Tree Frog in the palm of your hand? This might be for you. Maybe you consider working with the public a bit like one of those punishing resolutions. Then you could volunteer for any of numerous other important activities at the park, including animal care, native plant gardening, invasive plant removal, trail maintenance, or naturalist surveys. If you would like to talk with someone about volunteering at Hidden Pond, please contact Carmen Bishop, or ask for an adult volunteer application form at the nature center. Make it a Happy New Year beyond January 1! 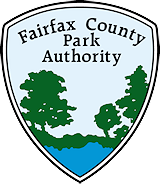 This entry was posted in Uncategorized and tagged Animal Care, Front Desk Help, Hidden Pond Nature Center, Invasive Plant Removal, Native Plant Gardening, Naturalist Surveys, nature, New Year's Resolutions, outdoors, science, Trail Maintenance, Volunterring on January 22, 2013 by Fairfax County Park Authority.